Homeowners love remodeling their kitchens, whether that means a simple sink upgrade or an entire kitchen redo from their flooring to their light fixtures. Whatever the scope of your kitchen remodel, ProSource® of Cincinnati is here to help you take it to the next level. 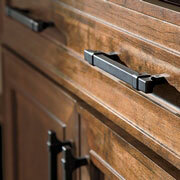 When you enter a kitchen, chances are the first thing you notice is the homeowner’s kitchen cabinets. Whether your client wants oak, maple, or any other type of wood for their new kitchen cabinets, make sure you get them at wholesale prices right here at our showroom. Trust us, your client’s houseguests will think they spent thousands. If stunning wooden kitchen cabinets just aren’t enough, bring your client in to our showroom and we’ll show them all the possibilities for dressing up their cabinets. 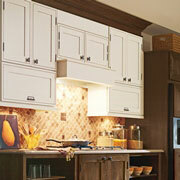 We are confident they will take a liking to our pulls, hooks, knobs, pendants, and cabinet lighting! Brand new kitchen cabinets don’t have to be a bank-breaking investment. Here at ProSource of Cincinnati, we offer a wide range of granite, marble, quartz, and laminate countertops at low wholesale prices you simply can’t find anywhere else. 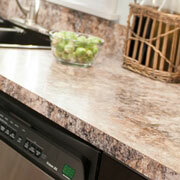 Stop by our showroom today and we’ll blow your client away with our stunning, affordable kitchen countertops! A brand new sink is a common addition for kitchen remodels, as they get more use than almost any other kitchen feature and will need to be replaced at some point. That doesn’t mean choosing a new bathroom sink has to be a boring endeavor. 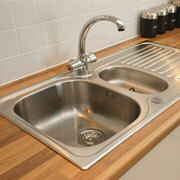 In fact, we offer a wide variety of kitchen sinks made with the latest designs and high-quality materials. Picking out an innovative kitchen faucet opens many doors for your client’s kitchen sink, as new technology has made it possible for sink faucets to include pull-down, pot filler, and beverage options, in addition to standard designs. 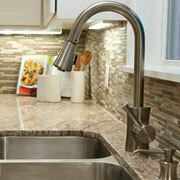 Visit ProSource of Cincinnati today and browse through our selection of inventive sink faucets today!